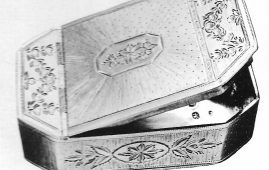 Famous for his well-constructed boxes, Nathaniel Mills was born in 1811 and worked for his father, Nathaniel, who had earlier registered his mark in 1803 as one of the partnership ‘Mills and Langston, Jewellers Northwood Street. 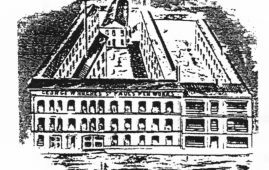 On May 11th 1825, Nathaniel Mills senior registered his maker’s mark at the new address of 49 Caroline Street, where he had residence and works. Dying at the ripe old age of 93, he presumably had retired some time before the firm’s move in 1836 to 42 Caroline Street. 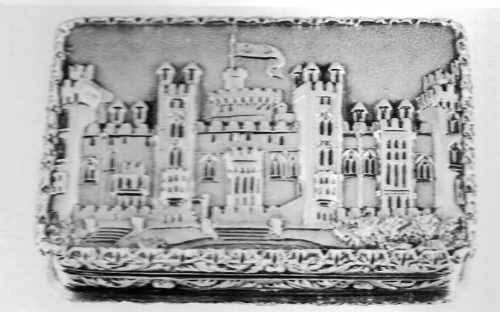 This presumably was to larger premises as the firm prospered in the 1830’s with young Nathaniel’s infusion of new ideas and multiple reduction techniques of stamping, casting and engine turning, manufacturing vast quantities of articles such as vinaigrettes with opular topographical scenes which appealed to a wide public fascinated by novelty. Over the years, the output of the workshop was enormous, various tasks no doubt being carried out by a network of craftsmen. At that time with open sewers in Birmingham to combat the smells and to ward off plague, Vinaigrettes were made the forerunners of smelling salt bottles, but when Chamberlain brought Welsh water to Birmingham and introduced sewers, Vinaigrettes went out of fashion. Mills then decided to go into the sewer pipe business. 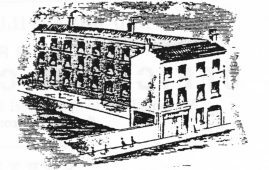 In 1853, the workshop moved to 9 Howard Street, and in 1856 a new designation appears in the Birmingham Trade Directories of ‘Nathaniel Mills, Hardware Commission Merchant’. Nathaniel Mills died in 1873, a rich man, leaving £30,000 in his will and he is buried in Warstone Lane Cemetery. Source: Jewellery Quarter History & Guide 2nd Edition. Photos Courtesy ‘Matthew Boulton & The Toymakers book. 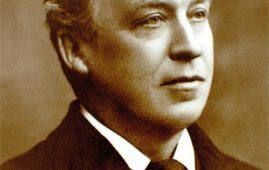 Thomas Sutton – known in the. In Bristol in the year 1826,. A shrewd anticipation of public taste,. The firm of Harman Bros. Ltd.